Back in December I had bought a couple of packs of Betty Crocker’s cake mix because it was on sale. 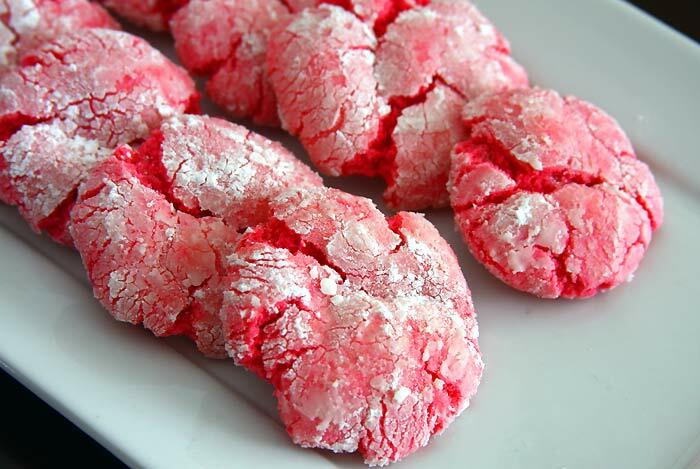 While I was looking for recipes using cake mix in Pinterest, I stumbled on these Christmas themed cake mix crinkle cookies recipe. It was a very easy recipe to put together. 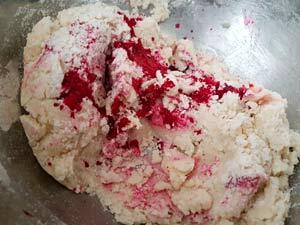 Making the dough, dividing it into halves and mixing each half with red and green food coloring to make red and green crinkle cookies using cake mix. The cookies looked so colorful and beautiful. I thought that I will also bake these for my annual Christmas cookies baking spree, but last winter break was a hectic one without much time for baking. 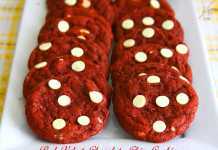 I couldn’t get this cake mix cookies idea out of my mind and got the idea to make it as a Valentine’s Day themed cookies using just the red food coloring. My son’s friends had come for a play date and being a very cold winter day we were confined indoors. So I planned a couple of baking activities to keep the kids engaged and these cake mix crinkle cookies were one of them. I had prepared the dough a day ahead and refrigerated it. The dough became quite hard, so put it out on the counter at room temperature an hour before they were supposed to come and the cake mix cookie dough was ready to be rolled. 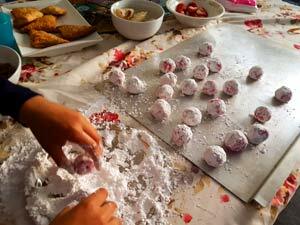 The kids had fun rolling the cookie dough, especially rolling it in loads of confectioner’s sugar. If planning to do it with kids, spread a big sheet of newspaper and put the plate of the icing sugar on top of it because they get very excited and it’s sugar everywhere. It was an absolute joy for them doing this and for us to see them enjoying it. Try these vegan chocolate crinkle cookies too which will be a sure hit with the kids. 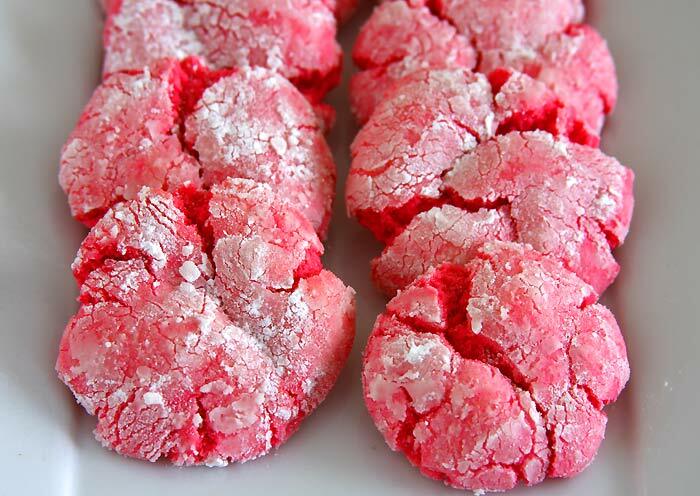 How To Make Pink Crinkle Cookies? In a large-bowl, mix all ingredients. Make dough and chill it. Take small pieces and roll them. 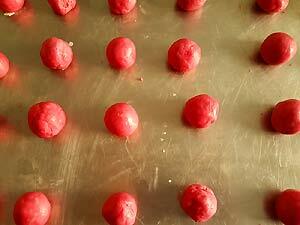 Roll the balls in icing-sugar. Not a baking pro? 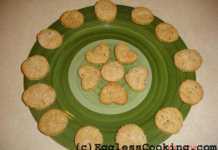 Want to bake cookies like a pro? Cake mix is your solution! 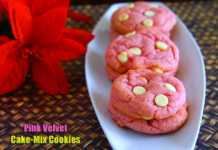 Bake these cute little pink crinkle cookies using cake mix and make your Valentine’s Day even special. 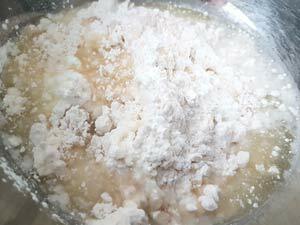 In a small cup whisk together the egg replacer powder and water; set aside. 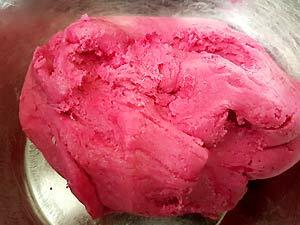 In a large bowl mix together the cake mix, egg replacer mix, oil and red food coloring. Add more food coloring, if needed, to get the desired color. I feel that mixing the dough with your hand makes the color spread more evenly than mixing it with a wooden spoon/spatula. 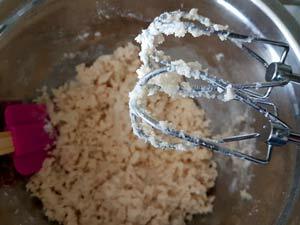 This cake mix cookie dough will have the consistency of play dough. Refrigerate dough for at least 30 minutes to create fluffier cookies. Meanwhile preheat the oven to 375 F/190 C for about 15 minutes. Lightly grease the cookie sheets and keep it aside. 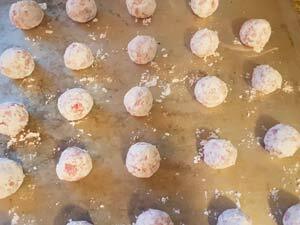 Roll tablespoon size balls of dough in powdered sugar and place it an inch apart, on a greased cookie sheet/s. Bake for 9-11 minutes. I baked mine for 10 minutes. I refrigerated the cookie dough overnight. So it was a bit hard the next day and I put it out on the kitchen counter an hour before I was going to bake and the dough was soft enough to handle. Use food coloring of your choice to suit the occasion. Just green for St. Patrick’s Day, red and green for Christmas, etc. 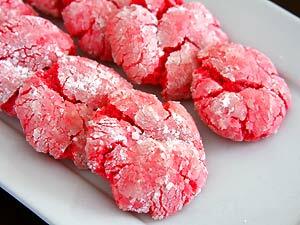 You can also use red velvet cake mix to make red color crinkle cookies.